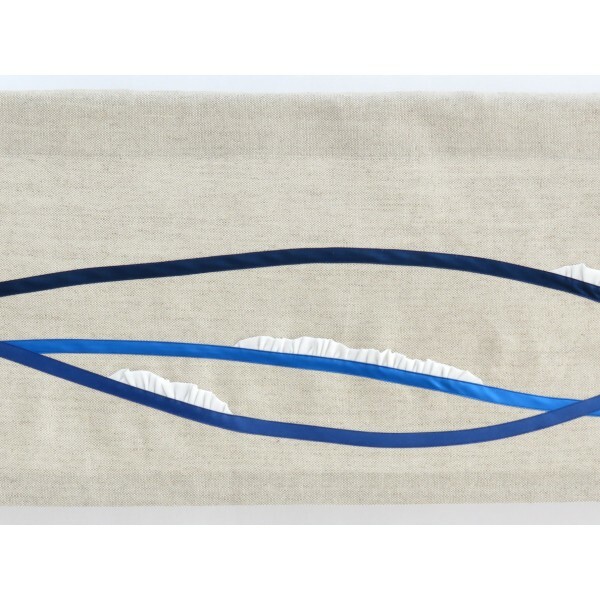 Linen straight rod pocket valance with waves in three shades of blue and crests in off-white linen. 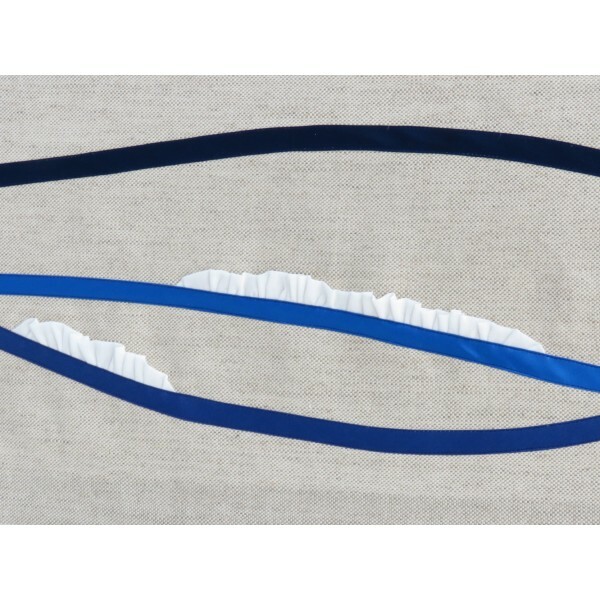 Diversifiying our geometry-led range, we have introduced softer, wavy lines taking the inspiration from natural landscape. 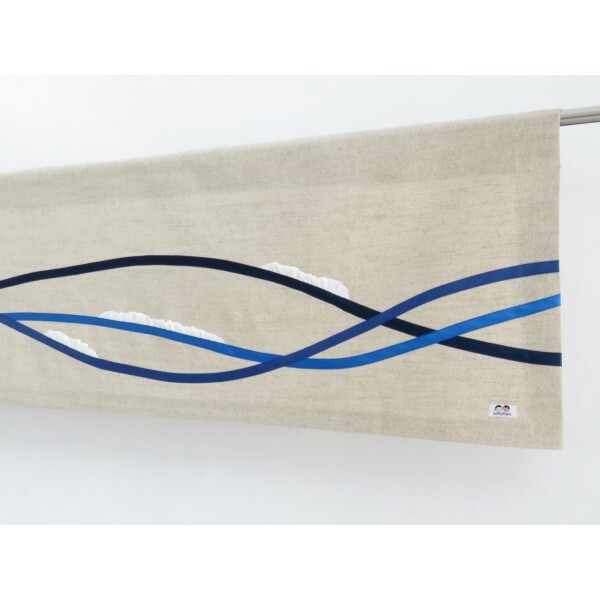 This design presents those always desired surfing waves with white crests. 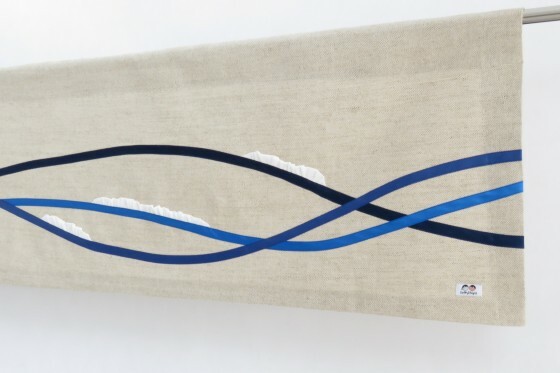 This valance is made from a heavier weight of linen blend, which has a great linen texture and natural look without the pure linen price tag. 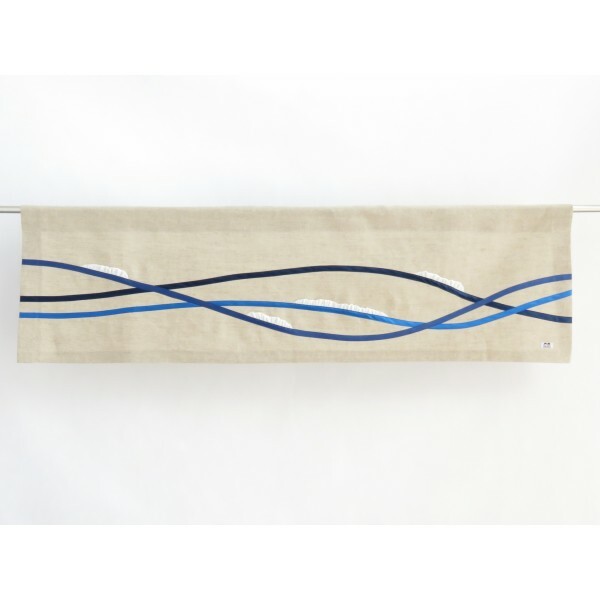 It will be great as a nursery window treatment but equally thanks to its simplicity it will work in a teen's room. Other details: Appliques are made of polyester ribbon.